Special items deserve their own space. 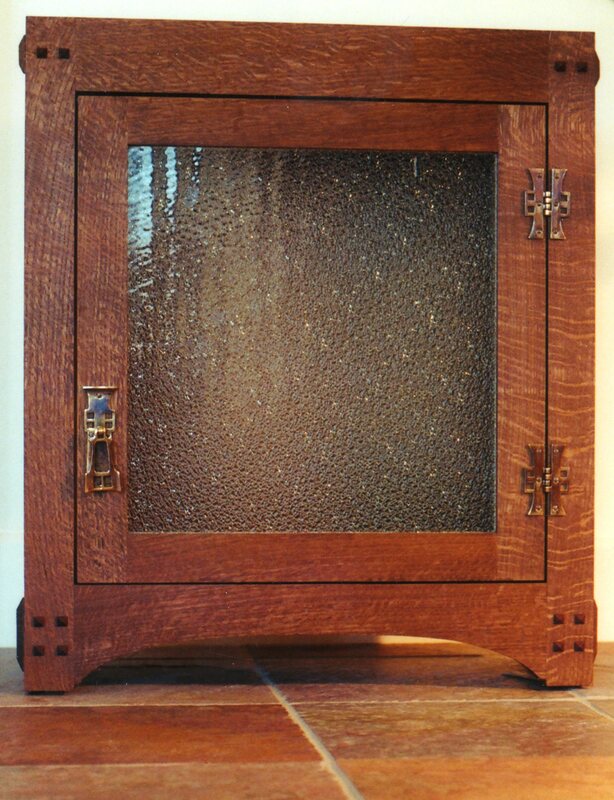 This quarter-sawn white oak cabinet has through tenon construction and is pegged with mahogany. Ammonia fumed to highlight the oak’s amber honey tones. 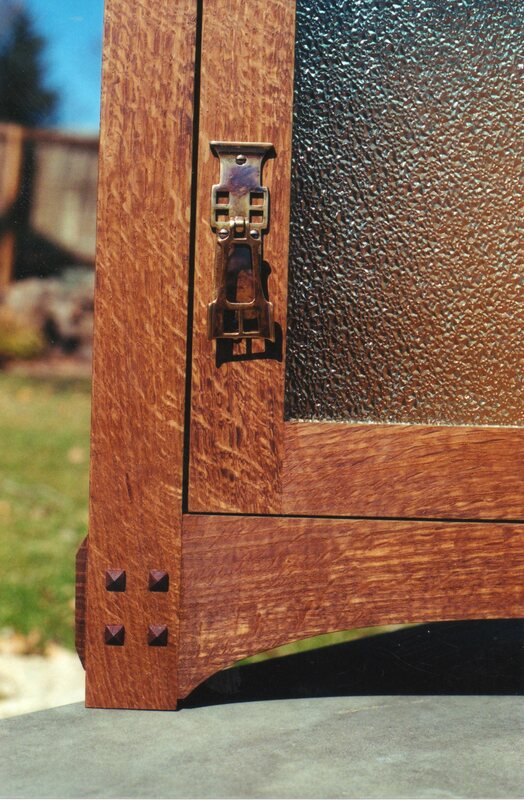 Rennie Macintosh-design hardware and beaded glass finish the piece. Boiled linseed oil finish with fine wax topcoat. Heirloom piece with meticulous grain matching.